my initial response was all want...! i made as many as i had inserts for, as honestly this was a *want* not a *need*! 2. make two of these in random pattern. 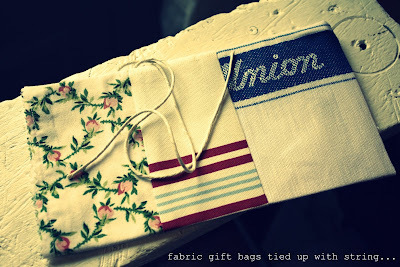 3. iron these flat & grab your scissors & pins. 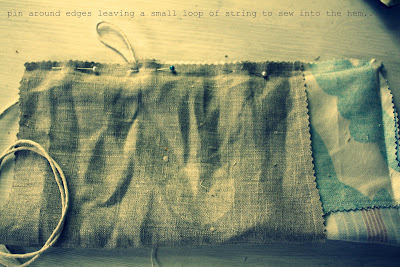 4. place *right* sides together & cut your both pieces of fabric to the same size. 4. pin together down three sides of the fabric. oooh, LOVE them all Melissa! i would look at them all day if I made such beauties. my mum has such wonderful teatowels that I am looking forward to using. hope your blocked head is better soon. 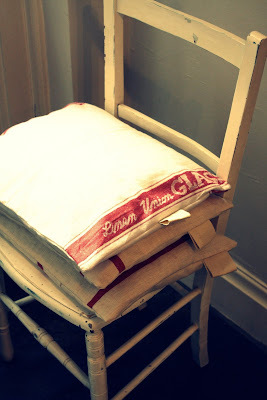 Oh my, I do love those cushions...they are just perfect! 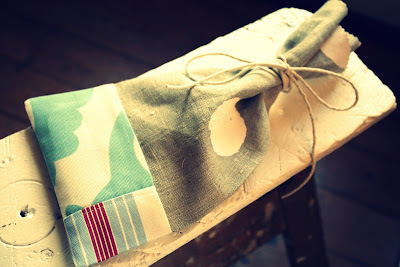 Your French fabric is fabulous, those cushions are so chic and practical and so are your little gift bags..great ideas. 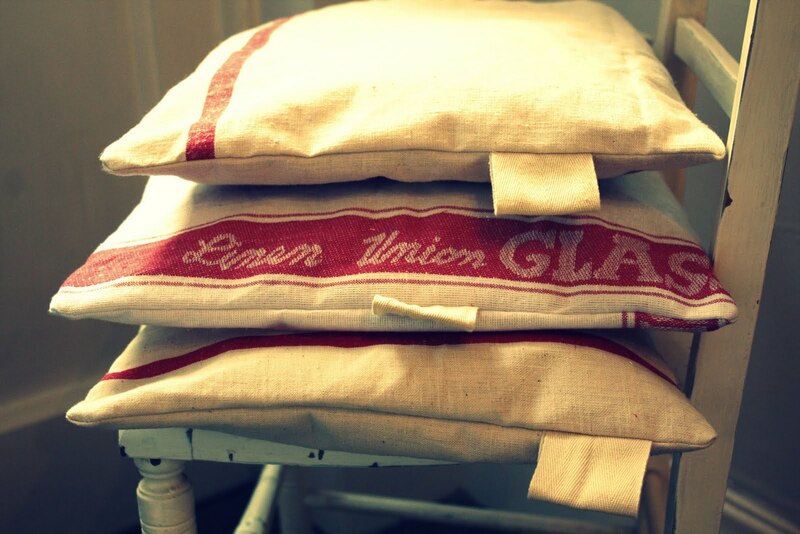 I am glad your houseful went wonderfully and the cushions well used. love you new pillows! i also love that fabric. Hi sweet Melissa!! Your cushions are wonderful!! Soooo chic and easy!! Lucky you..I'm not so keen on sewing!! Melissa! I love these bags...I actually may be able to make one with a little help and a friend with a machine! You are so creative and your style is my favorite! I would have noticed them! I would have wanted some as well!! Love your little bags from the left overs. What a lovely way to wrap a little gift. I think I'll keep that idea and make some up later when I'm less busy. It's the little things isn't it? I hope your sinus problem settles down soon. I use tiger balm over the sinus area and it help so much. Of course it makes your eyes run as well! OoooLaLa, Melissa! Love the French pillows. They are perfect. 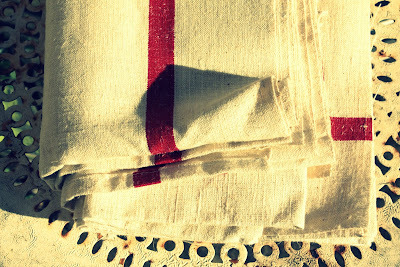 Yearning for a French supplier myself! Oh lovely lovely work Melissa. 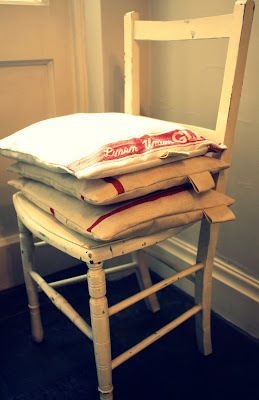 I need new kitchen chair cushions you have inspired me! I really need those cushions in my house. No really. Nice one guys! We might try to work a reference to this one into a blog post about australian pillows next week. Wow, that's what I was seeking for, what a material! existing here at this website, thanks admin of this web page. my cousin. I'm no longer positive whether or not this put up is written by him as no one else realize such designated about my difficulty. You are wonderful! Thanks!